What if my GAS FURNACE PRODUCES NO HEAT? ​The heated air then cools down in your home's various rooms and returns to the furnace through return air grills and ductwork. Sometimes there is a humidifier mounted on the furnace or the return air ductwork. Furnaces come in different efficiencies measured in AFUE. Unless you understand AFUE it is better to check new furnace and air conditioning cost or look into furnace hvac. Make sure that your thermostat is set to HEAT and not COOL, and ensure that the fan is set to AUTO. Then, check to be sure that the thermostat is set to a temperature high enough to trigger the furnace to emit heat. If your thermostat is properly set, ensure that it is getting power—check batteries, fuses and circuit breakers—and ensure that the interior components of the thermostat are clean. Dust and debris inside the thermostat can cause it to malfunction. Fortunately, this is usually an easy fix. In some cases, a malfunctioning thermostat may require adjustment or replacement. Failure of the transformer that provides power to the thermostat can also prevent it from sending signals to the furnace. If your furnace has a reset button (it’s often a red button located on the front, side or back of your furnace), try pressing it. If the furnace powers up, you should soon have heated air cycling through your home once again. Sometimes, pressing the reset button is all that is required to get your furnace working properly. This button controls an automatic shut-off feature that shuts down the furnace if it gets too hot or if there are other problems. A furnace that frequently shuts off automatically may have other issues, such as a clogged air filter or blocked ducts that are causing the furnace to overheat. If you have an older furnace with a standing pilot light, it’s possible that the pilot light is extinguished. First, confirm that the light is out. Then, turn the gas valve to the off position and wait five minutes. If there is a reset button on your furnace, turn the valve to the pilot position and hold a flame to the dedicated pilot gas tube while pushing the button for about 30 seconds. If the pilot doesn’t light on the first attempt, wait a few minutes and repeat the procedure, this time depressing the reset button for 45 to 60 seconds. Once the pilot is lit, turn the gas valve back to the ON position. If the pilot light won’t stay lit, it’s possible that there is an issue with the thermocouple or ignition system. You may be able to replace these components yourself, or you can call an HVAC professional for assistance. After verifying that the thermostat is set properly and is getting power, ensure that the furnace itself is getting power. Check fuses and circuit breaker to ensure that power is getting to the furnace. Also, check the electrical switch at the furnace to make sure it is in the ON position. If maintenance or repair work has recently been done on the furnace, this switch may have accidentally been left in the OFF position. Dirty furnace filters are one of the most common causes of furnace failure. A dirty furnace filter can limit the airflow through your furnace and cause it to overheat, which will shut it off automatically. If you suspect a dirty air filter, change the filter, press the reset button (if your furnace has one), and see if your furnace begins to emit heated air. Change your furnace filters regularly—pros recommend changing them once a month—to ensure that your furnace continues to work properly. Unaddressed, dirty furnace filters can cause extensive, and expensive, damage to your home’s heating system. The flame sensor safeguards your furnace by ensuring that gas flows only when there is a flame to ignite it. A dirty flame sensor may cause your furnace to function improperly. Typically, the flame sensor comes in the form of a rod that can be found near the back of the furnace, right in the path of the burner. To clean the sensor, turn off power to the furnace at the breaker box. Then, if possible, remove the sensor from the furnace. Scrub the sensor gently to remove dust and other residues. Finally, reattach the sensor and restore power to the furnace. It is possible—particularly if you’ve recently changed your furnace filter or done other maintenance—that the door to your furnace has been left open or closed improperly. If this is the case, properly shutting the door cover on your furnace may fix the problem. To troubleshoot a misbehaving gas furnace, start with the easiest explanations and solutions, then work your way to the most complicated. If your gas furnace doesn't start working at some point as you work your way through these troubleshooting steps, then it is time to call a furnace professional. Look to these possible causes one at a time. 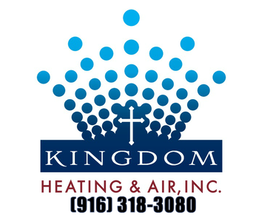 There is a good chance that you will find and correct the reason why your furnace is failing to produce warm air. All too often, restoring the flow of warm air is simply a matter of opening heat registers. Families with young children know that heat registers can often get closed mysteriously after a play session. However the heat registers were closed, if too many are shut, it can cause heat to build up in your furnace, causing it to shut down automatically. Closed heat registers can cause other issues, as well. Essentially, blocking heating vents causes your furnace to work harder and longer than it is intended to work and can shorten its life. Blocking air increases the air pressure in your air ducts, which may both cause and worsens airflow leaks—particularly at joints and seams. ​Pros recommend keeping at least 80 percent of your heating registers open to prevent unnecessary air from building up in your furnace and ducts.